Want to learn hot to make jello shots? 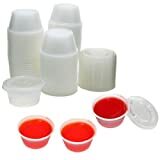 Ah, jello shots – the fun and easy-to-drink little sibling to regular shots.It’s pretty easy! Jello shots can be made with any kind of alcohol (champagne jello shots, anyone?) 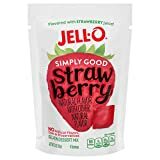 and any kind of jello flavor, so today we’ll start with the basics before branching out into more complicated yet delicious jello shot ideas. Jello shots are super easy to whip up and fun to bring to parties. Bonus points if you can color them to fit a theme! Let’s start with how to make the most basic jello shot – this kind of jello shot is super easy to jazz up by adding candies or using flavoured vodka. Empty the Jello box into the mixing bowl, then add the just boiled water. Stir until the powder is completely dissolved. Add the alcohol to the mixture after it has cooled slightly, or else the alcohol will just evaporate away. Carefully pour the mixture into shot glasses – it’s okay if the shots aren’t full all the way, half to three-quarters full is fine too. If you’re adding candy at this point, let the mixture cool a bit first, or else the candy will melt. Let the shots set for at least 4 hours or overnight in the fridge. You can play with different jello and alcohol flavor combinations to make really fun and unique jello shots, too! How to make jello shots is really easy when you just get creative. You can create a layered look as shown here by letting the lays harden between making them. Easy peasy! Now, let’s try something a little different. Sure, these shots are fine for the average party, but what about a classier drink, such as rosé or champagne? These can also be made into very pretty and delicious jello shots – perfect for a girls’ night in – or out! First, you’ll want to mix just 1 1/4 cups champagne, the lemon juice, and sugar in a saucepan. Then, add the gelatin to the mixture, gently mixing over a low heat so that it dissolves. Remove from the heat, then add the remaining champagne and 1/4 cup of vodka. Pour into a baking sheet that’s been lightly greased with nonstick cooking spray and let set for 3 hours. When set, flip the baking pan upside down onto a cutting board, then slice into squares for neat presentation. These are best served immediately after slicing! Rosé can be easily swapped out for champagne for another fun, classy alternative. If you really want more sweetness, substitute unflavored gelatin for strawberries for a fun strawberries and champagne jello shot. You can also garnish the cubes with sprinkles or edible glitter to make them extra cute and girly. You have now learned how to make jello shots. Cheers to more mature ways to consume alcohol!